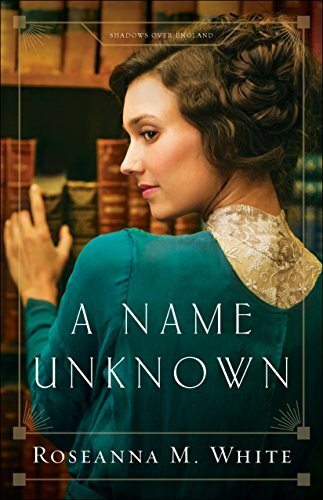 A Name Unknown will completely sweep you off your feet. If you are even the slightest bit bookish, you will simply fall head over heels for Peter. He is a man of incredible character, high standards, genuine compassion, a deep relationship with Jesus. Not to mention he has a serious talent with words. And Rosemary….well Rosemary, is just…AHHHH! I want to meet her. I wish she was a real life person so that I could interview her, have lunch with her, and go for walks together along the cliffs in Cornwall. Also, Roseanna talks about Cornish Pasties…Um…those are perhaps my very favorite meal EVER! Throughout the story both Peter and Rosemary struggle with secrets that lay in their past. Some known, some unknown, and (even to themselves) some discovered along the way. As they grow closer, they come to understand that they can not have these barriers between them. “With the greatest risks come the greatest rewards,” but is it worth it to risk everything that they have built their lives on? Will they be able to confide in one another before all is revealed? And will the past stand between them and keep them apart? Or draw them closer together? There is so much we can learn from this story. And one of the biggest points is that God is able and willing to forgive us. No matter our past, no matter what we have done, what we have been through. The question is, do we want Him to? Do we want Him to change us for the better? The other message that stands out so strongly in this story revolves around God hearing us. He may not always give us the answers we want…but He hears us. Even if it doesn’t feel like He does. Set at the very beginning of WWI, this book begins an incredible adventure for Rosemary’s family. I am SO looking forward to the next books.